Virginia's mountains and forests host a veritable menagerie of animals. Wildlife in Virginia ranges from large mammals like deer to tiny reptiles such as salamanders. The state is home to creatures from every branch of the animal kingdom. 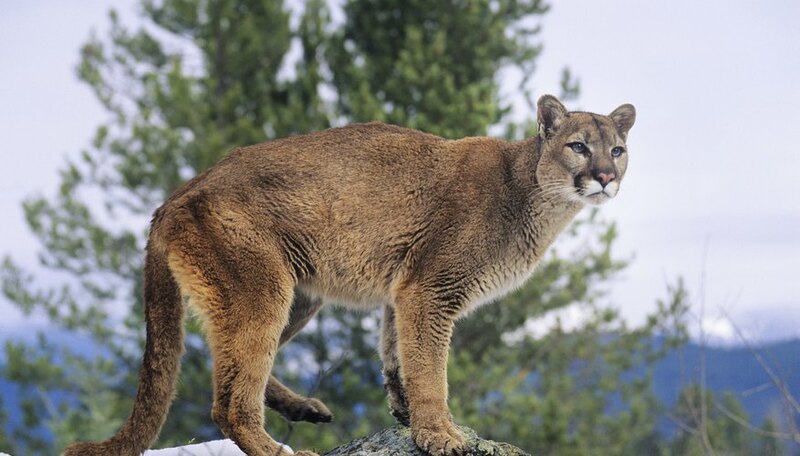 There are numerous dangerous animals in Virginia, including bears and mountain lions, also known as pumas. In addition, many rare and endangered species can be found in Virginia, some of which do not live anywhere else in the world. Virginia is covered with forests and valleys between mountains, and thus the land can support many different types of wild mammals. Smaller mammals include many types of shrews, squirrels, bats and skunks. Virginia also has a large population of white-tailed deer, which help maintain the population of predators found throughout the state. One example of such predators is the black bear, whose habitat includes all but the coastal regions of the state. Other predatory mammals include bobcats, coyotes, and pumas. Different species of salamanders make up the bulk of wild amphibian life in Virginia. Among them is the Shenandoah Salamander, an endangered species that is only found on three mountains in the northwestern part of the state. Other amphibians in Virginia include frogs, toads, and mudpuppies. As for reptiles, Virginia is home to many snakes, three species of which are venomous: the Northern Copperhead, Eastern Cottonmouth , and Timber Rattlesnake. There are also many types of turtles and lizards, including a small lizard known as the skink. There are many large birds that live in the wilds of Virginia, such as bald eagles, which inhabit the state year round. There are also golden eagles, which winter through much of the state, but especially in the Appalachian Mountains. Other large predatory birds, called raptors, include the peregrine falcon, owls and vultures. Smaller birds that are unique the to the state include the ivory-billed woodpecker which is typically only found in the southeastern part of the United States. The many lakes, rivers, and bays of Virginia play host to ample fish and other aquatic creatures. Fish species include pike, perch, catfish, trout and bass, among others. The state has two official state fish: the brook trout (freshwater) and the striped bass (saltwater). There are also many species of mollusks and crayfish. On the coast of Virginia, larger animals populate the ocean. Whales species such as the fin, sperm, and humpback migrate past the beaches. Virginia Legislatie Information: Official emblems and designations. Michelle, Meg. "Wild Animals Found in Virginia." Sciencing, https://sciencing.com/wild-animals-found-virginia-8170352.html. 20 July 2018. What Predatory Wild Animals Are Local in Pennsylvania?